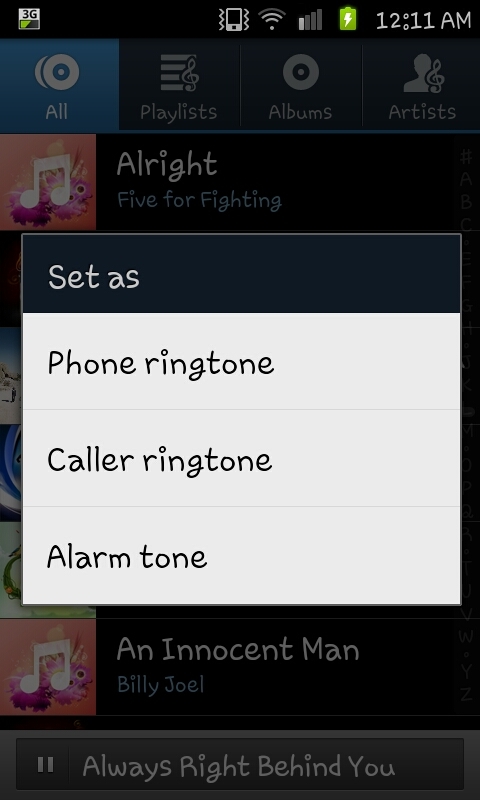 Mobile Phone Tips and Tricks: How do I set my MP3's as an alarm tone? 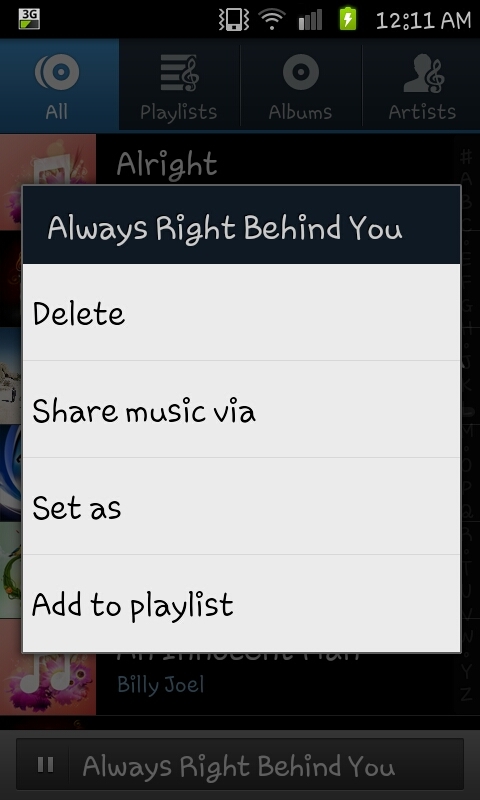 will be using "Always Right Behind You" by the Zutons. 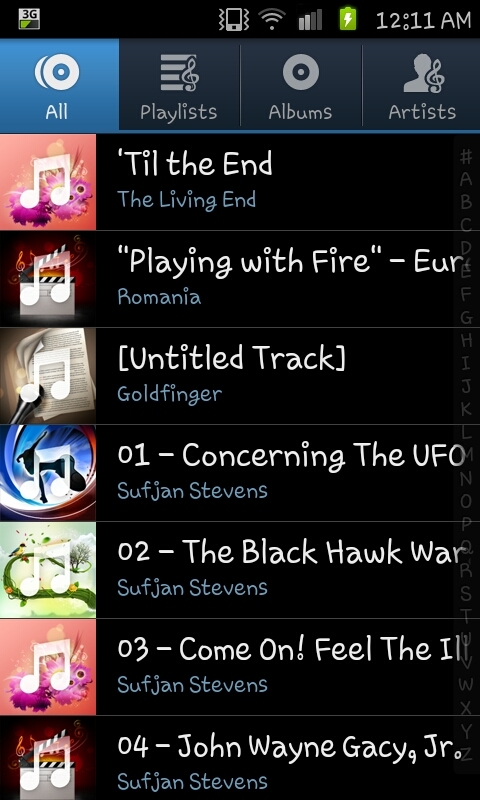 When you find the song on your music list hold on it for a second or two and you will see a pop up menu appear over the list of tracks. It will look something like the image on the life and from here you will need to select the "Set as". If this all feels rather familiar so far it's because it's the same method as setting a personalised ring tone instead of selecting "Phone ringtone" at the next screen you need to select "Alarm tone". After you click on "Alarm tone" you will be taken back to the "Alarm" screen where you need to press "Create alarm" and create an alarm as you would via the usual alarm creation screen. 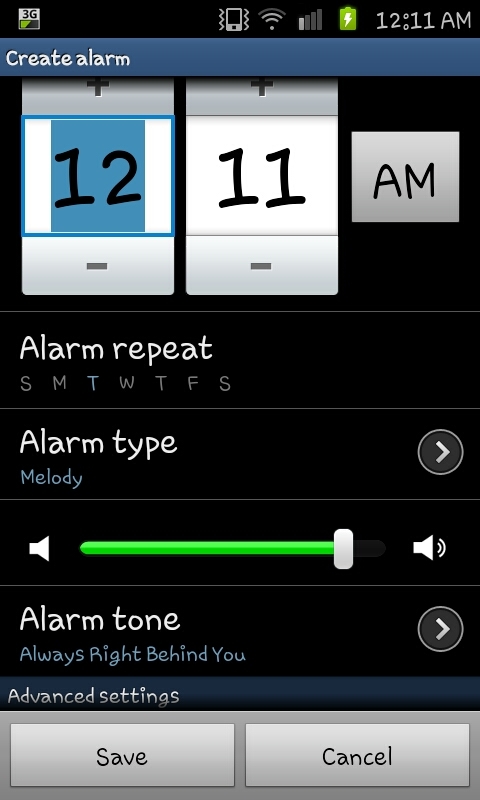 When you've selected your time, days and volume you just need to click on "Save" and you've saved your own alarm with your own MP3's once again allowing you to add your own personal touch to your Samsung Galaxy S2.